Printable: Save $0.75 on 12 oz bottle of Purell Soap or one 8oz bottle Hand Sanitizer or larger. Manufacturer: Get a $0.75 discount on a 12oz bottle of healthy soap or 8 oz Purell hand sanitizer or larger. You'll see the printable coupons on the page, click on it and follow instructions..
- $1.00 off any 3 or more Purell Hand Sanitizer Products. - $0.75 off one Purell Advanced Hand Sanitizer, 8oz or larger. - $0.75 off 2 Purell hand sanitizer jelly wraps. Print coupon from Target under "cleaning supplies" or type Purell in their search box. 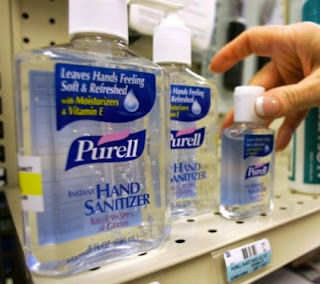 Purell hand sanitizer is an alcohol based soap that kills 99.9% off germs. Great for use in kitchen, bathroom, changing diapers, after handling money, after meals. You can find purell products at the following retail stores: Walmart, Kmart, Target, Walgreens, Kroger, and Sams Club.